Youth advocacy organisation and civic pressure group Leave No Youth Behind, which was active in mobilizing youths to vote in the July 30 polls, has released a statement in which it raised concern on the post-election violence last Wednesday, which resulted in the death of six people in Harare and applauded the youth for taking part in a peaceful election. 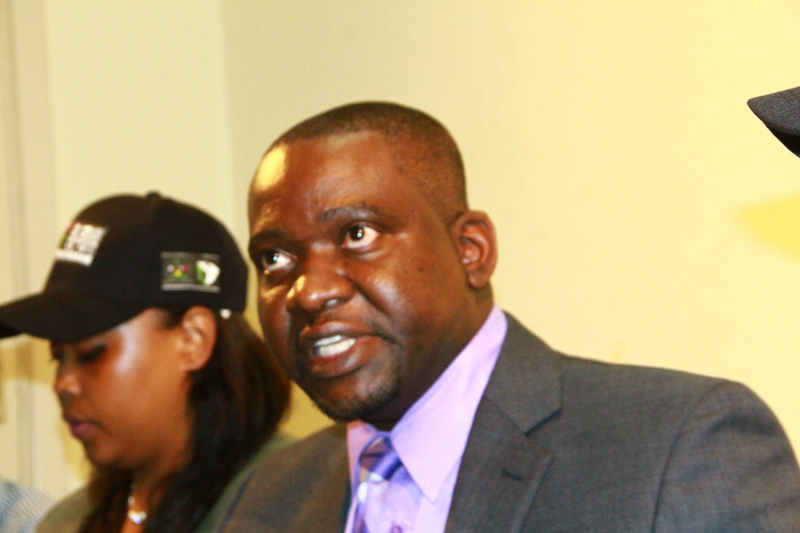 Speaking at a press conference organised by the National Association of Youth Organisation (NAYO) in Harare this morning, NAYO Director, Misheck Gondo, said both MDC Alliance and ZANU PF were reluctant in taking responsibility for last Wednesday’s chaos. “Mostly young people took to the streets to protest, political parties denied ownership of the youth, though most of them were seen in MDC Alliance regalia, which resulted in the death of six people and leaving many others injured, an act contrary to the spirit of Ubuntu,” he said. The organisation highlighted that it has noted a dramatic improvement in the participation of the youth in national politics. Gondo also said the organisation was equally concerned by the expectation of equating youthfulness and naivety in making political decisions. “We are also concerned by a rhetoric that continues to equate youthfulness with political naivety. As we have stated elsewhere, young people are the pulse of the nation, we are not the leaders of tomorrow only but of today as well,” he said. Among the recommendations was the need for state institutions and traditional leaders to win back “legitimacy and trust” by the people, promoting freedom of expression and independence of the media and “invoking of draconian and restrictive laws”.